A container house is a relatively low cost modern residential idea. It allows a home owner to enjoy stylish and affordable living and is manufactured in a variety of sizes, shapes and colours to suit any homemakers’ preference. 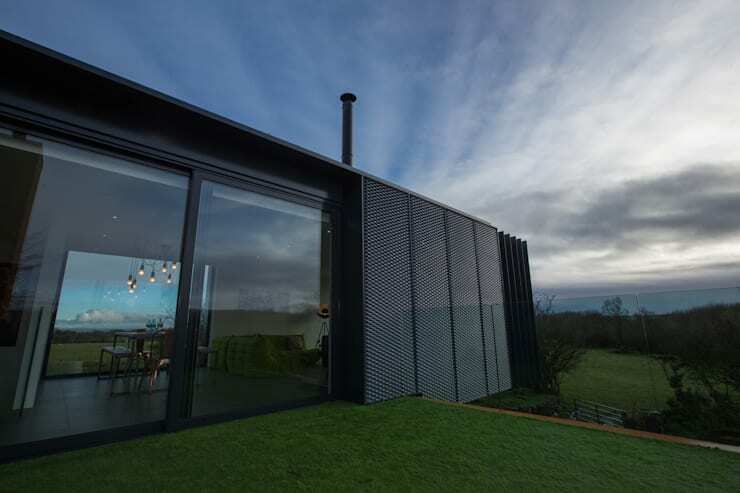 This gorgeous container house is located in the countryside and is surrounded by breathtaking views, idyllic scenery and a modern take on the simple life. The attractive exterior definitely makes for an eye-catching structure, surrounded by greenery and natural beauty. The architects of this designer home have really created something sensational. 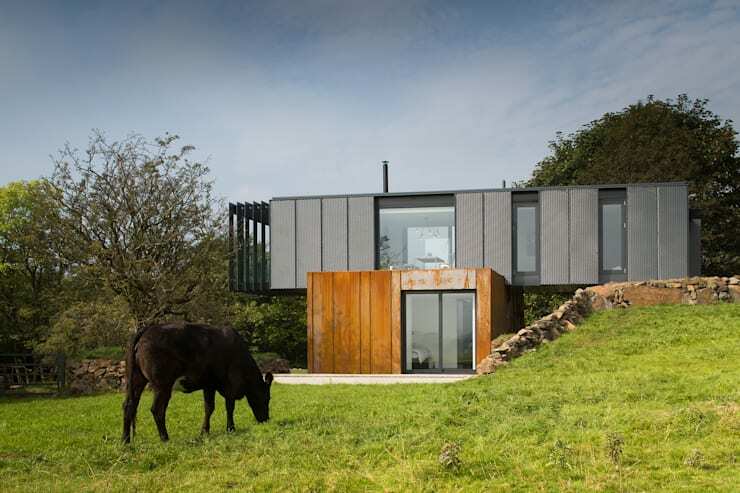 How about this for a modern country escape? Enjoy the sights of the surrounding farmland, beautiful natural landscape and the sensational peace and harmony that engulfs the home. 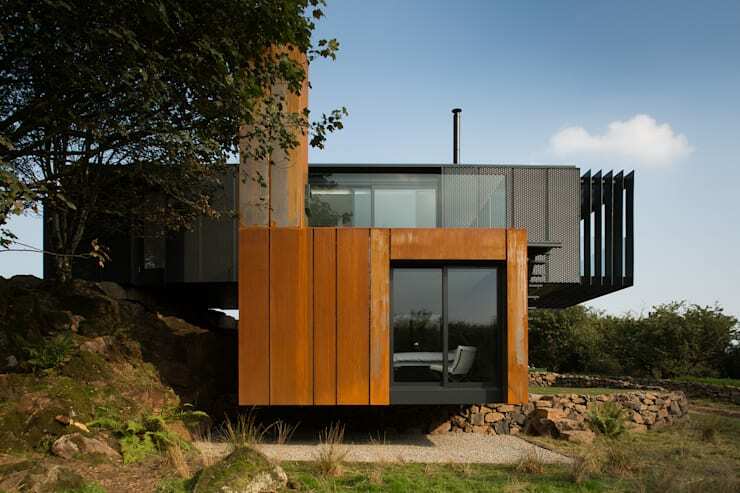 Although this steel container home is a trendy and sophisticated structure, it is built into the hillside, making this contemporary living space a part of the landscape. Elegant and attractive in every way! The structure is built from highly durable steel and finished in a strong weatherproof material in order to withstand the seasons. The architecture and construction team have taken all the necessary precautions to ensure that this home in the countryside is pleasantly ventilated and insulated, keeping it comfortable throughout the year. 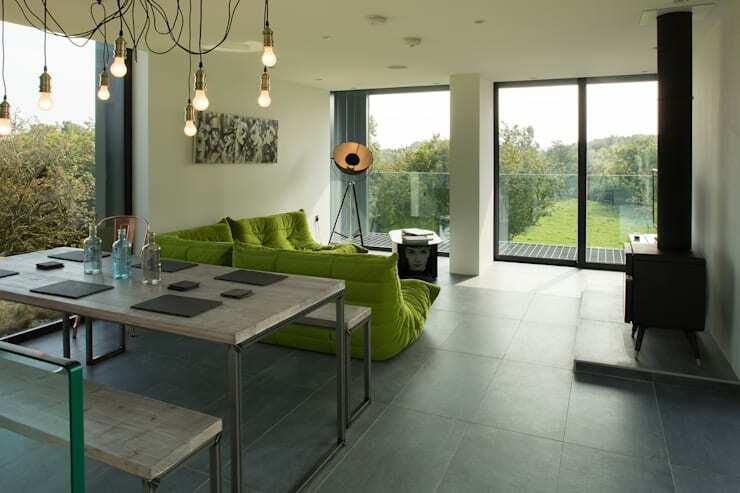 The home has a few windows integrated into the design, allowing for stunning views of the countryside at any angle. The superb panoramic views of this landscape make an abundance of windows a necessity. This home has a seamless flow with an evolving picturesque image available at every opportunity. The exterior sights allows the outdoors to be an extension of this home, while also creating a space that is naturally sun kissed throughout the day. The front door of this beautiful home is almost hidden away. Take a walk along the gravel road and you will be greeted by an orange-tinted door on a quaint yet friendly porch. The entrance is unassuming and perfectly minimalist, taking nothing away from the gorgeous landscape that the home resides on. The simplicity of the surroundings and the peaceful nature of this home make it the perfect combination for the scene. We finally get to see the interior of this fantastic modern home! The total area is almost 35 square metres, with the second floor comprising of the dining area, living room and kitchen, while the ground floor houses the bathroom and bedroom. The use of lime green for the interior décor creates a modern and trendy space with an eclectic edge, creating a comfortable and eye-catching area to relax and unwind. 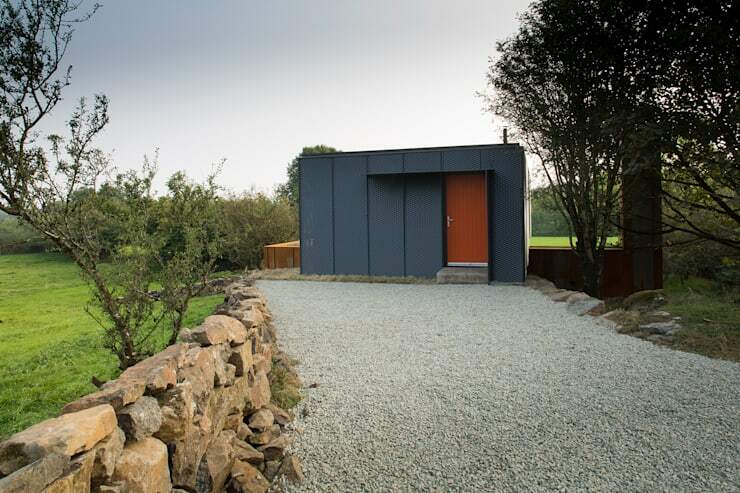 It's definitely different and contemporary, but so is the exterior of this container home. This bathroom is unbelievable! 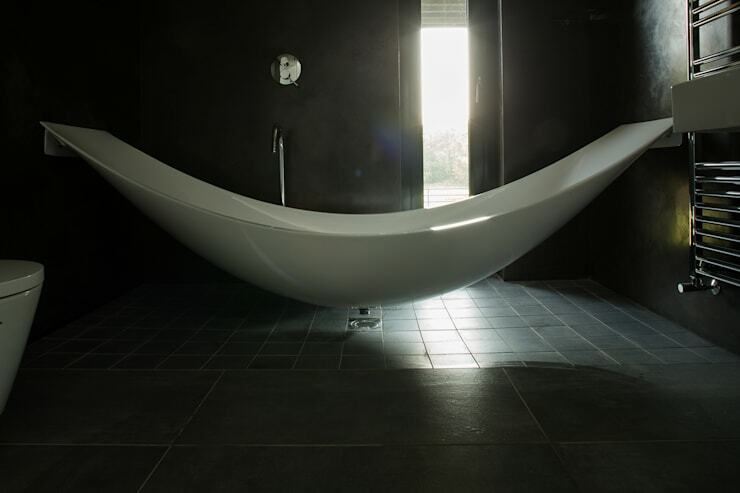 It has a sleek design with modern fixtures and fittings, while that curved bathtub captures the eye. The white fixtures against the ceiling to floor all-black décor creates a contrast that is more than the usual monochrome. It’s sleek and has designer appeal that is simply luxurious. For more imaginative bathtubs, here are: 10 Freestanding bathtubs that wow! Would you consider a home like this in the country?